Victoria Simoneaux combines Quantum Vibrational Energy Healing along with nutrition, health and wellness practices. 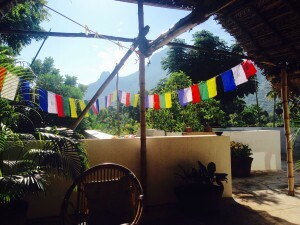 These practices are individually designed for massive results by balancing the body, mind and spirit connection. This work moves you from where you are to where you want to be, living the life of your dreams. I invite you to take the journey of reading and exploring this site to get a clear understanding of how these treatments and applications can impact the quality of your life. 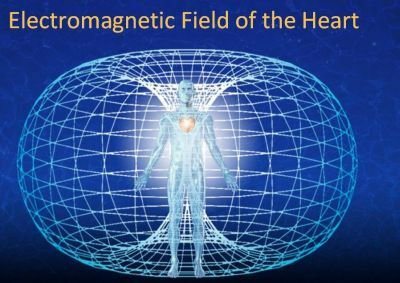 If you are new to the understandings and scientific findings of quantum physics or energy work, then I give you a step by step educational experience into the Awakening process. Victoria’s life work and experience offers something for everyone; Quantum Physics, Quantum Energy Healing, Wellness and Nutrition….and it’s all FREE information. Simply open your mind and heart and you can enhance your vibrational evolution. The Universal Law of Attraction teaches that we attract into our lives whatever we focus on. 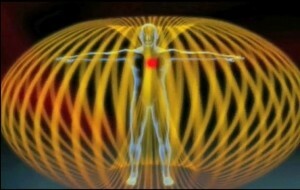 Quantum Physics teaches that nothing is fixed, that there are no limitations, and that everything is Vibrating Energy. “Everything is Energy in a state of potential” and when one uses the Law of Attraction in their lives, an undesirable life becomes a thing of the past. Quantum physics takes a spiritual perspective in where there are no separate parts, and where everything is fluid and always changing. The physical world is a sea of Energy constantly flashing in and out of existence. It is through the alignment of our thoughts, feelings and actions, that we transform this ever-changing Energy into observable reality. Therefore, we can Create our reality with our focused thoughts, spoken words, feelings and actions of pure Intention. It takes 21 days to release an old belief system and Create a positive Intention in it’s place. We have been conditioned to believe that the external world is more real than the internal world. Quantum physics says just the opposite. It says that what’s happening on the inside determines what’s happening on the outside. Since nothing is fixed and everything is in a state of potential, everything is possible! When we understand that everything is possible, we begin to align our thoughts, conversations, feelings, intentions and actions on what we want to attract. This along with visualization, will literally call into existence whatever we desire. 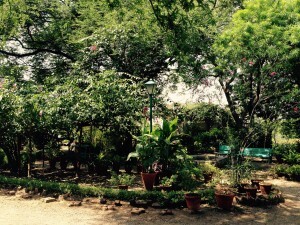 “Let us set our intentions with our Heart-not our Brain. The Universe exists as infinite potential in infinite abundance. Through this understanding and awareness we have the power to bring our desires into existence and our dreams into reality. We have the power to be, do, and have whatever we desire through deliberate Co-Creation and Intention. When aligned and balanced we can learn to Create or Manifest our desires from the clean slate of the present moment, instead of, our subconscious conditioned past. 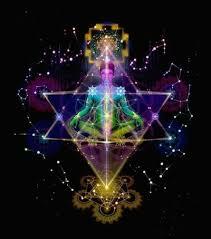 All of creation is a living matrix of light and geometries. We, as human reflections of the light, are participating in a radical shift. 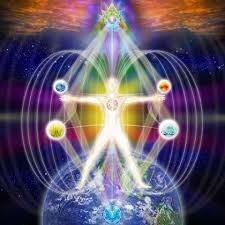 We call the resulting blueprint in this higher octave of consciousness, the Dimensional Shift or Ascension. As we dance towards this new dimensional reality, our human form is undergoing a profound transformation. 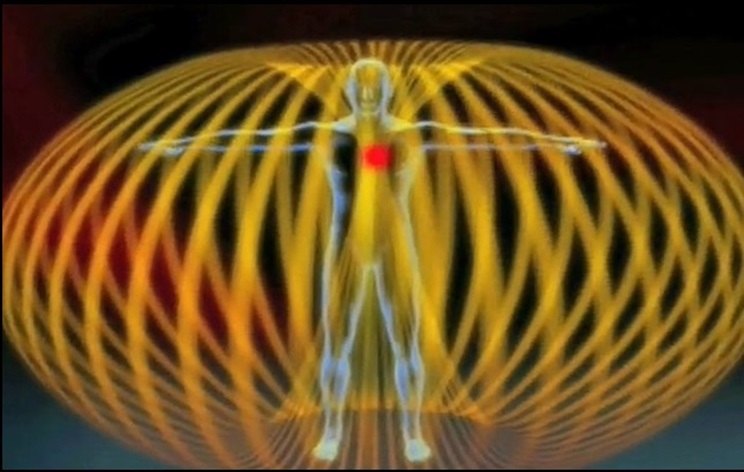 Our very cellular DNA Matrix is shifting to harmonize these higher frequencies of Light and Love. 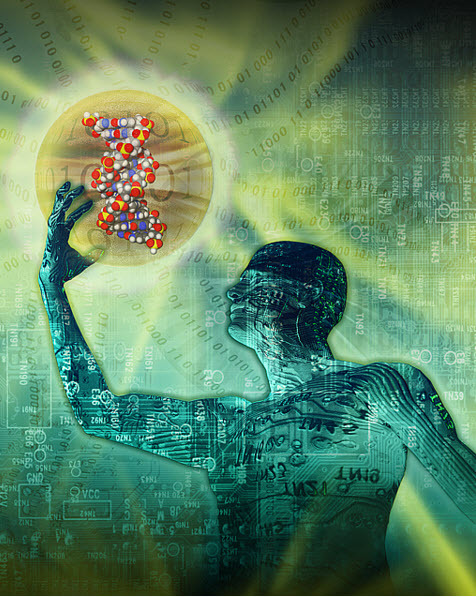 Referred to as the Light Body, our new blueprint is a spiritual biochemistry with an expanded genetic and DNA structure. It is holographically contiguous with our existing bodies, yet carries high frequencies of light and love that have been latent for millions of years. 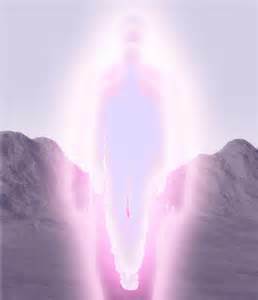 This crystalline, or silica-based body of light, is our vehicle of ascension that transports us into the higher dimensional system of the New Earth energy. 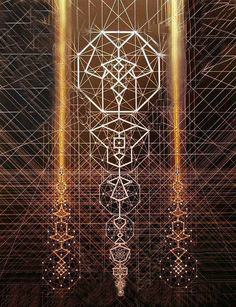 Also referred to as the Merkaba, this Light Body is a brilliant gridwork of light and sacred geometry. It electromagnetically links our Human and Multidimensional Self with the Infinite Universe and Cosmic Hologram of Love. 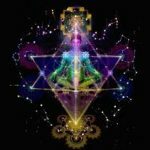 See Merkaba video As the body of light is continually activated, our cellular structure and entire physiology undergoes a mutation. The cell metabolism is accelerated and latent DNA coding lights up. Shedding bodily density, we experience mutational symptoms such as bodily changes, and the releasing of old emotional and mental structures. We remember who we are as Children of the Light, whose essential purpose has always been, simply TO LOVE. On a practical level, we use these expanded energies to create from a knowing of unlimited potential. 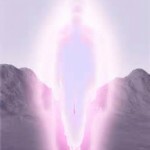 Awakening the Light Body heightens inspiration, vision, and intuition, to support our highest creative potential. WE ARE the ONES we have been waiting for. 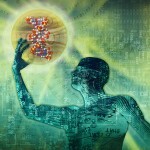 The time is NOW to awaken your Light Body and activate the 12 DNA-Strands. The strength of our unified field is an unparalleled vehicle for assisting in this magical transfiguration of Human BE-ing-ness. 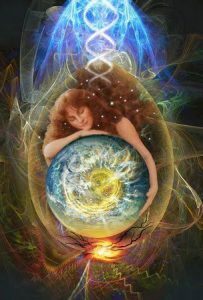 As we increase in numbers, our Love and Light expands exponentially. As we move beyond duality and separation, we become aware of the truth that WE ARE ALL ONE. 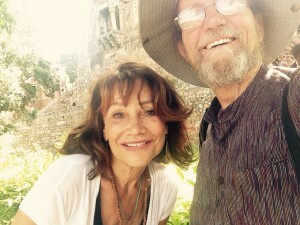 Oneness as a planet…Oneness as Our Global Community. This “Oneness” in mass consciousness is what will make the great changes in the World, it will bring a New Earth forward, a peaceful solution, the so called “Heaven on Earth.” As we do our own inner work to raise vibration and frequency, purifying our vessel in mind, body and spirit; we expand the consciousness of the masses or the Collective consciousness the same as the ripple effect in a pond. Eventually, through neutralization of our emotions and the calming of the mind through the Heart, Brain, Mind fusion we become a pillar of Light grounded in the present moment. At this point of our human evolution, just our mere presence helps others to balance, heal and shift consciousness. We do not have to do or say anything to assist others in their process. Just BE.